HOORAY AND HOOAH FOR INDEPENDENCE DAY! 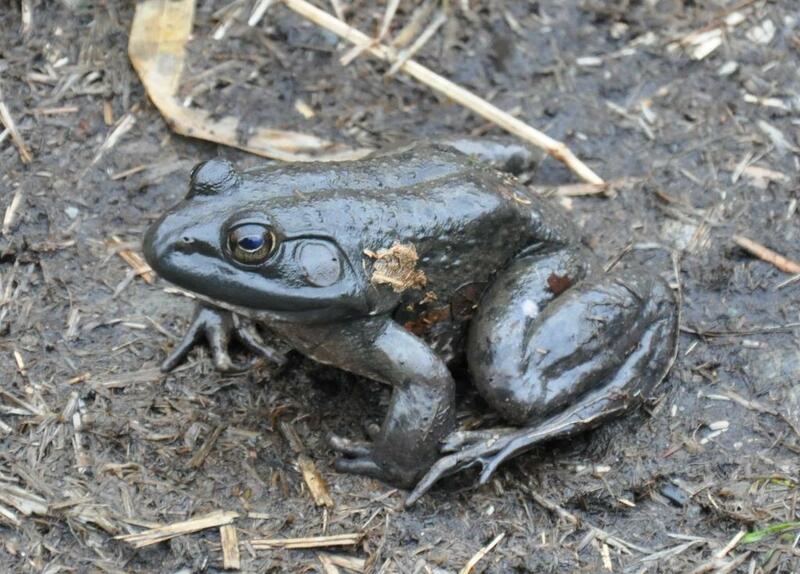 What better way to celebrate the 4th of July weekend than with a salute to the American Bullfrog – the true El Hefe of North American frogs. 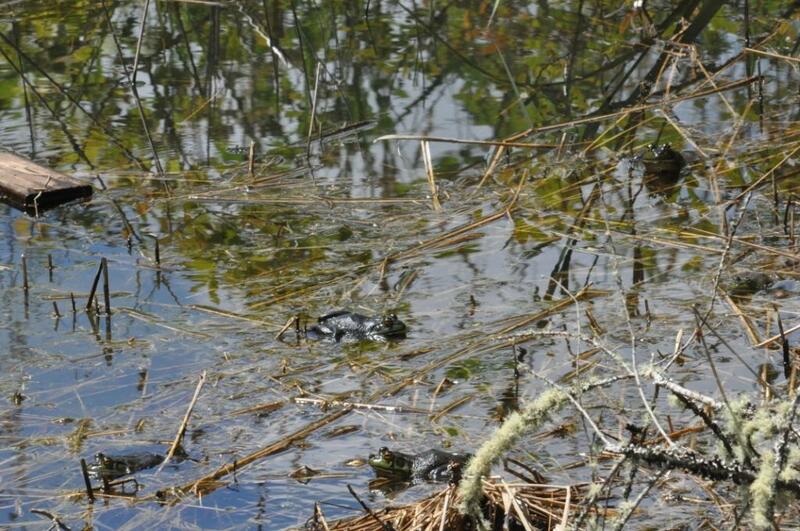 In fact it is the third largest frog in the world. Only the goliath frog and the cane toad are bigger. But when you consider that there are about 4000 species of frogs and toads in the world number 3 is quite an accomplishment. 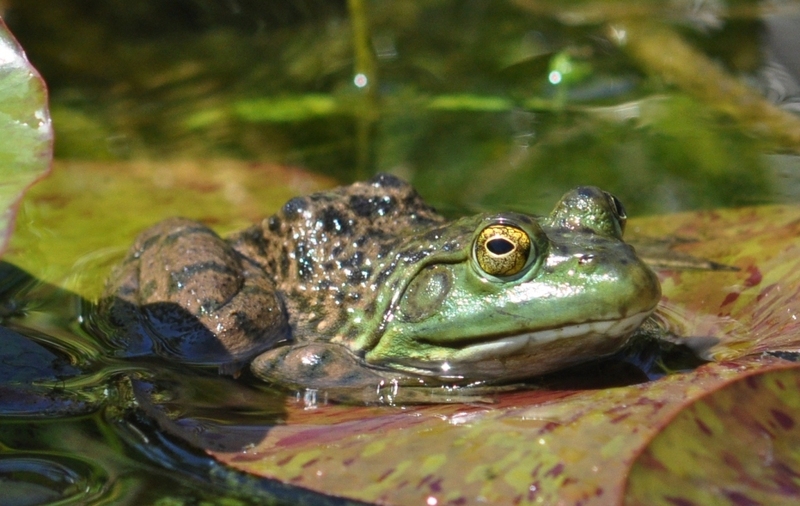 Our American bullfrog tops out at about 8 inches in length and two pounds or so in weight. You have probably heard that big booming sound at some time in your life. That’s an adult advertising its presence. Younger ones often emit a loud squawk when startled. This odd vocalization often startles the human intruder just as much as the frog. 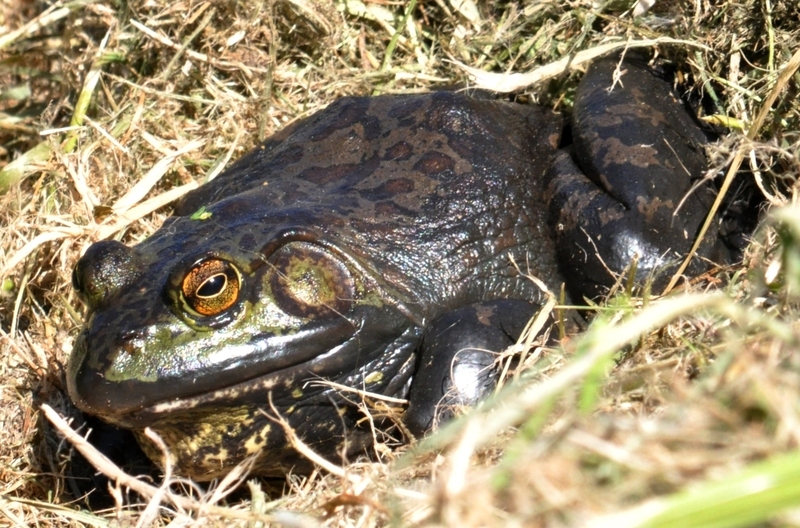 Bullfrogs were introduced to the West Coast some time ago and have now pretty much blanketed any area with sufficient water to create the quiet ponds they love.